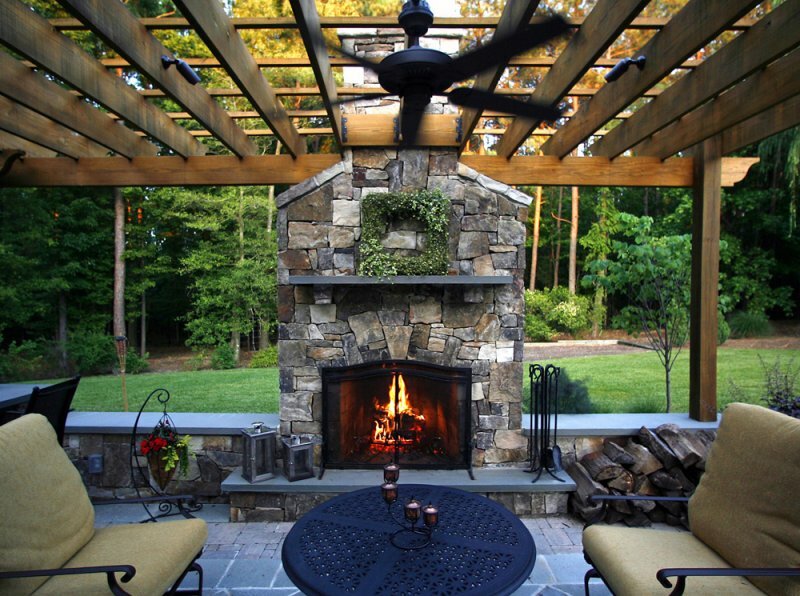 “Flagstone and concrete patios also are popular among home owners,” Taylor said. “Remember to allow for expansion, however, to prevent cracking.” Cracking in concrete is inevitable, but it can be minimized with the proper installation. Most decks are made of wood, ranging from pressure-treated pine and fir to more durable—and pricey—woods such as red cedar, redwoods and tropical hardwoods. No matter what the type, wood decks require maintenance and even then, with less expensive woods, swelling and warping will still occur over time. To reduce the amount of maintenance required, consider composite and vinyl decking. These materials are less susceptible to swelling and also are more resistant to insects. The cost, however, can be significantly higher, particularly if coordinating railing and balustrade systems. Concrete decks, while much more expensive than wood or composite, are the most durable and require only the occasional pressure wash and periodic re-sealing. And no longer just drab grey, concrete is now available in a nearly limitless variety of styles, colors and patterns.